Every day this week, Smith Stone Walters will provide an explanation on one aspect of the Scheme and general advice on how to apply. Today: the benefits of settled status. 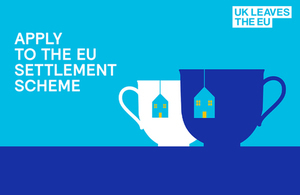 The Home Office has launched a nationwide marketing campaign today to encourage EU citizens to apply early for the EU Settlement Scheme. After 30 March, EU, EEA and Swiss nationals living in the UK will need to register for either settled status or pre-settled status. Every day this week, Smith Stone Walters will provide explanation on which each status means and how to apply. This article concentrates on settled status, and we will examine pre-settled status tomorrow. You can stay in the UK as long as you like if you get settled status. You’ll also be able to apply for British citizenship if you’re eligible. These rights will stay the same until 30 June 2021. If you need assistance with your Settlement Scheme application, please contact Smith Stone Walters. We have the expertise to support you and your employees. Take a look at the positive feedback from those clients who have already engaged our services.